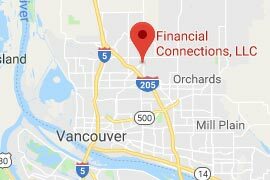 Financial Connections serves the bookkeeping and accounting needs of small businesses in Portland, Oregon, Vancouver, Washington and select industries nationwide. With almost 50 years combined experience, Financial Connections uses our knowledge to help our clients stay in local and federal compliance with tax, payroll and other laws. In addition to our normal bookkeeping & accounting services, Financial Connections helps our clients save money, time and run a more efficient operation through scalable office management and employee training. We have helped many local businesses in the Portland & Vancouver area save many thousands of dollars in tax over-payments, wasteful spending, better vendor rates and expense tracking. Financial Connections offers Free No-Obligation Consultations to see if our services would benefit your business. We invite you to call us today at (360) 851-1106.